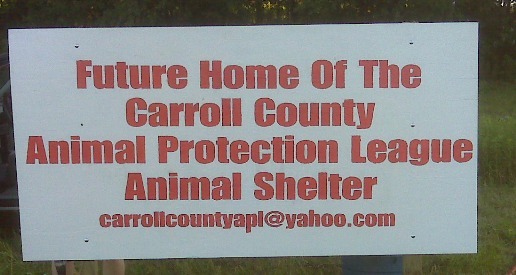 Carroll County Animal Protection League-CCAPL - PREVIOUS PROGRESS! May 18, 2015. Sheckler Excavating, Inc. prepared the site pad for our building arriving on June 3rd, 2015! 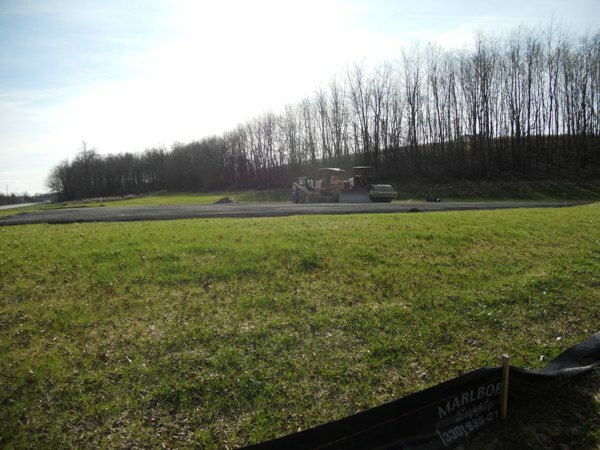 Four test holes done on all four corners on May 13th, 2015 to make sure the land can support the building. Passed. July 3rd, 2014 at 1:30 p.m. The Morton Buildings, Inc. sign is up and we are so excited! We have worked so hard to get to this point and will continue in our endeavor to reach our goal of building our no-kill animal shelter on our property. Any donation amount will be greatly appreciated and help us reach our goal to save lives of domestic animals who will enter our shelter and find loving homes! Cost of this project was $16,700.82 done by Sheckler's Excavating. Almost half of this cost was covered by grants, CCAPL members, and individual donation. The rest of the cost was covered by our numerous fundraising activities. The stakes are in the ground on our land as of this morning 8-31-2011 by David Bodo & Associates! Thanks, David! 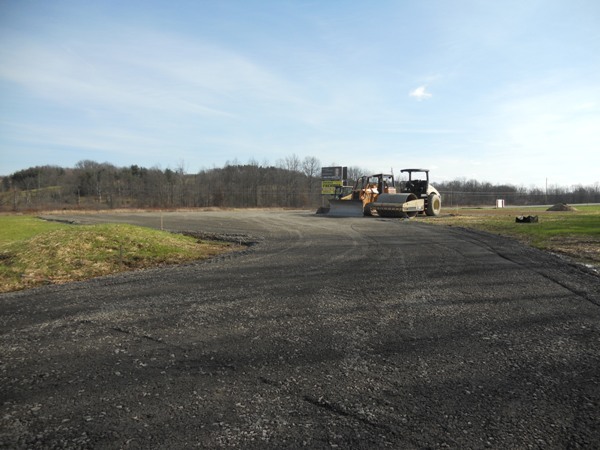 Next step is the digging and earth moving on our property for the animal shelter site, parking lot, and installation of the storm drain and catch basin and then the silt fence installed by Sheckler's Excavating, Inc., Malvern/Waynesburg, Ohio. Thanks everyone for your continued support and belief in us! 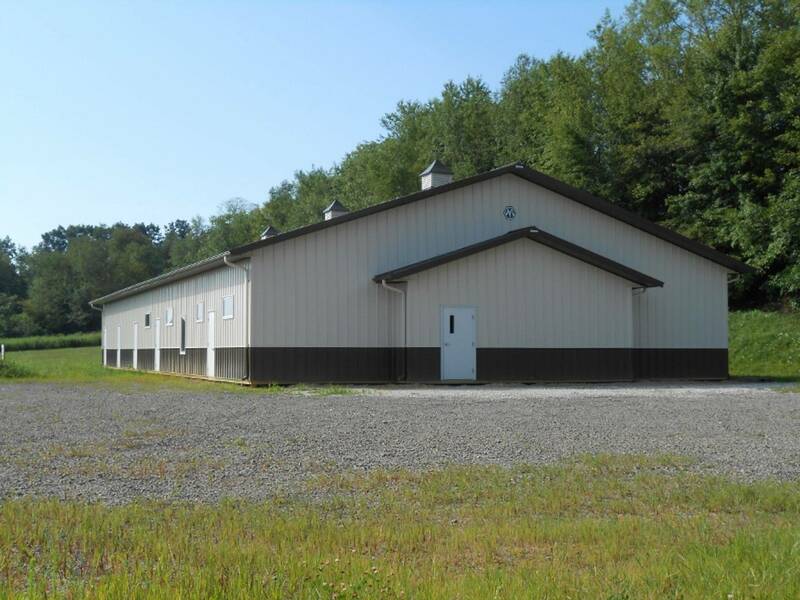 July 2011: The CCAPL Board of Directors voted and chose Sheckler's Excavating, Inc. as the contractor to go ahead and dig out the animal shelter site, build up the parking lot area, install the catch basin, and storm drain, and other pertinent work for this next phase of construction. Mike Hettler, our engineer, has contated Sheckler's to get this phase scheduled on our land and completed! We will be breaking ground at some time in September as Sheckler's Excavating has us on their schedule! The silt fence will be done first, then the stakes will be put in by Dave Bodo & Associates. Then the earth moving will commence to dig out the animal shelter site area, the parking lot, install the catch basin, and the storm drain. We are almost there getting started for the greatly needed animal shelter for Carroll County! Check back for more updates, please and thanks for your continued support and interest in our great organization! December 2011 update: Photos show the entrance to the L-shaped parking area work completed by Sheckler's Excavating, Inc. This includes 194.4 yards of limestone and other materials to complete. Cost: $9,720.00. Wow! We did it, and thanks to so many who contributed towards this next phase of our ongoing progress to build an animal shelter for Carroll County, Carrollton, Ohio! THIS PHASE IS FINISHED: OCTOBER 17TH, 2011. 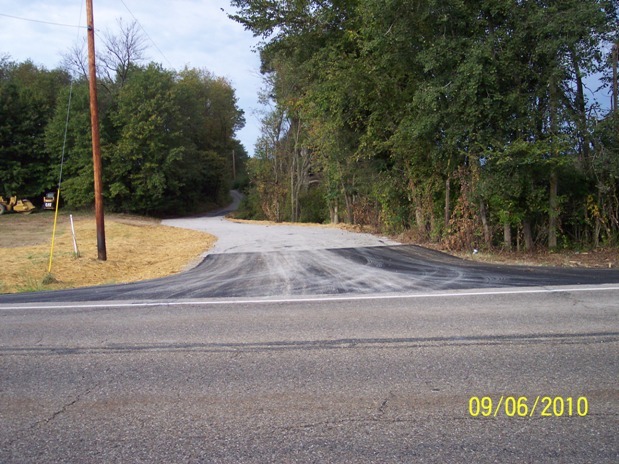 NEXT PHASE IS TO INSTALL THE 416 TON OF #304 LIMESTONE NEEDED FOR THE L-SHAPED PARKING LOT AND ENTRANCE DRIVEWAY AT A COST OF $13,000.00 SO THE WEATHER DOES NOT DAMAGE WHAT HAS BEEN COMPLETED. THE CCAPL'S BOARD OF DIRECTORS VOTED WEDNESDAY NIGHT, OCTOBER 26, 2011 TO GO AHEAD AND HAVE SHECKLER'S EXCAVATING, INC. INSTALL THE 416 TON FOR THE L-SHAPED PARKING LOT AREA AND ENTRANCE DRIVEWAY. WE HAVE RAISED OVER $9,000.00 FOR THIS WITH CONTRIBUTIONS AND DONATIONS SPECIFICALLY FOR THE LIMESTONE, AND WITH OUR 3RD. ANNUAL BENEFIT DINNER AND SILENT AUCTION, THERE IS ENOUGH MONEY TO COMPLETE THIS PHASE. THANKS TO EVERYONE WHO HAS CONTRIBUTED IN ANY WAY TO MAKE THIS POSSIBLE!